If you're looking for a great Star Wars costume for Halloween this year that is also kind of creepy. 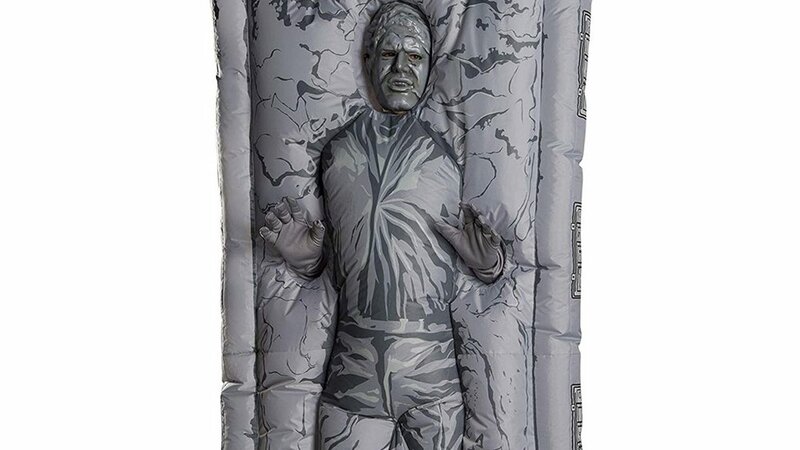 You might want to consider this inflatable Han Solo frozen in carbonite costume. The adult-sized costume includes a battery-powered inflation fan, a freaky Harrison Ford mask, and gloves that complete the frozen effect. If you want one, you can purchase it at Entertainment Earth for $60. Does The Han Solo Movie Crew T-Shirt Reveal The Title to Be SOLO?